“Your staff is speaking Spanish to customers when they should be speaking English,” the man says, holding a white iPhone and pointing at the Spanish speakers for emphasis. “Every person I listen to: He spoke it, he spoke it, she’s speaking it. This is America!” he says. Someone in the background interrupts him and calls him ignorant. Others hurl expletives at him. “Yeah, this is America. So ignorant,” another person tells him as laughter breaks out. 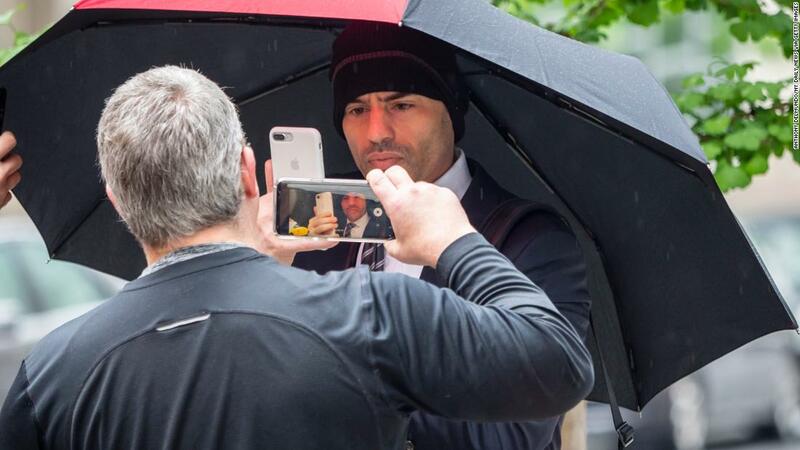 A former client identified the man to CNN as Manhattan attorney Aaron Schlossberg. 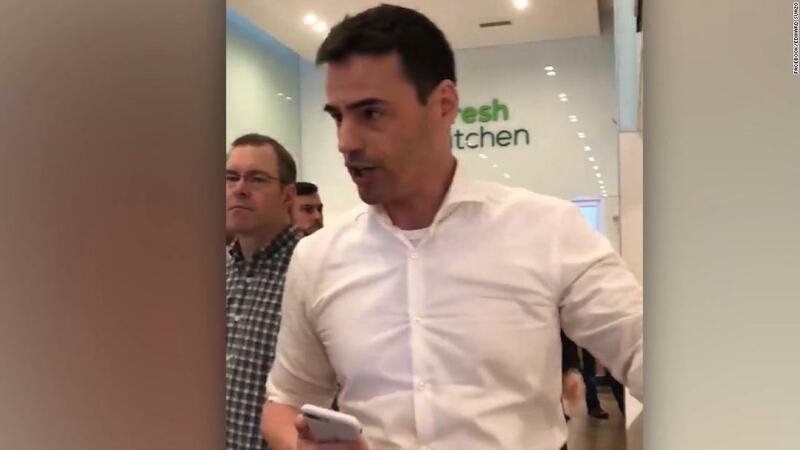 The man continues to express his displeasure to an employee and threatens to call Immigration and Customs Enforcement officials. The woman yells back, “Maybe you should get hit by a car,” as the man storms out of the restaurant. In a Facebook post, Suazo said his wife and her best friend were talking to a waiter in Spanish when the man butted in and angrily demanded that they speak English. Emily Serrano, who eats lunch at Fresh Kitchen at least three times a week, said she was shocked by what she heard, so she pulled out her phone and recorded the tail end of the incident. The video had been viewed 4.4 million times by early Thursday, with some identifying the man as a lawyer with an office near the restaurant. On Thursday, Corporate Suites, the company that operates the business center where Schlossberg’s law office is located, said it was terminating its agreement with him. CNN has called and left messages with Schlossberg but has not heard back. After the incident, people inundated the law firm’s social media accounts with messages. Local tabloid New York Daily News featured an image of him on its front page of Thursday’s edition. In an email, Fresh Kitchen said the store is a public area for breakfast and lunch and welcomes everyone from all types of cultures. Espaillat said Schlossberg had violated Rule 8.4, which outlines professional conduct. “He clearly has done that, and his behavior, his rant was xenophobic and racist,” Espaillat said. In what appeared to be a reference to the incident, New York Mayor Bill de Blasio tweeted that the city’s strength was its diversity. “It’s what makes this city great. The 8.6 million people who call this city home speak more than 200 languages — they’re all New Yorkers and they’re all welcome here,” de Blasio said Wednesday. 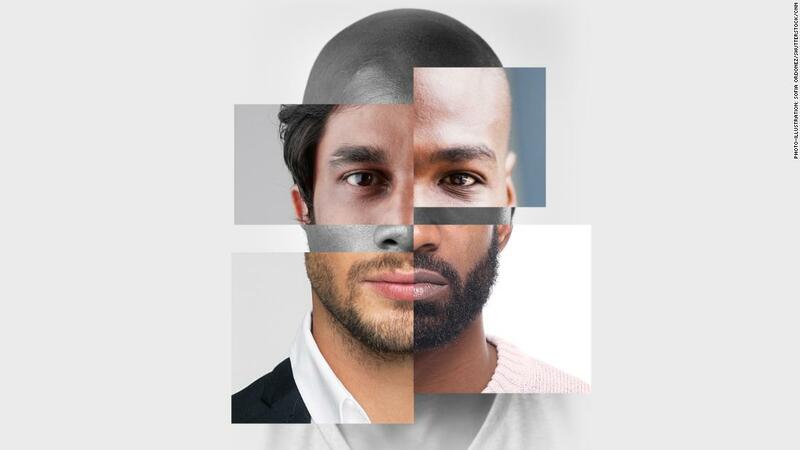 According to the US Census Bureau, 49% of New Yorkers over age 5 speak a language other than English. The Fresh Kitchen run-in apparently was not the first such outburst from the man. Willie Morris, a 34-year-old consultant and adviser for tech companies, said he recognized him from a similar encounter on Manhattan’s Fifth Avenue in October 2016. Morris said he was walking down the street when a man in the opposite direction made eye contact with him, sped up and made a beeline for him. In commentary afterward, Morris said he was born in Massachusetts, and he held up his passport. “I let it go and pretty much forgot about it until I was scrolling through Twitter yesterday and randomly saw a thumbnail and thought, ‘No freaking way! ‘” Morris said.